Bug Eyed Adult Mask.Includes: One Bug Eyed Adult Mask. Available Size: One Size Fits Most Adults and Teens. *Costume and Accessories Not Included. Sold Separately. 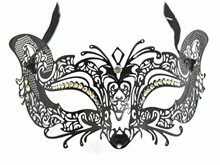 Complete your masquerade look with this awesome Bug Eyed Adult Mask! 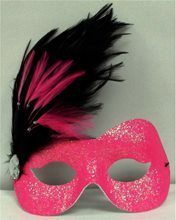 Star Burst Adult Mask (Assorted).Includes: One Star Burst Adult Mask. Available Size: One Size Fits Most Adults. *Costume and Accessories Not Included. Sold Separately. 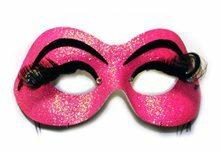 Beautiful "Rays" style molded plastic mask with glitter and painted accents. Available in multiple primary colors. 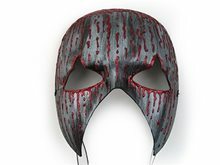 Cold Blood Adult Mask.Includes: One Cold Blood Adult Mask. Available Size: One Size Fits Most Adults and Teens. *Costume and Accessories Not Included. Sold Separately. 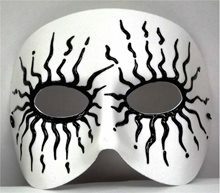 Hees Designs produces high quality hand made masks. 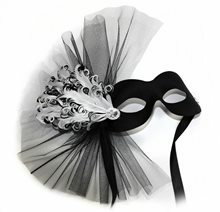 Perfect for masquerade parties, Halloween or any event where you want to keep your identity a secret. 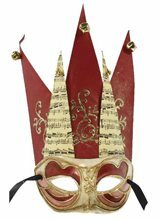 Deluxe Rosebud White Adult Mask.Includes: One Deluxe Rosebud White Adult Mask.Available Size: One Size Fits Most Adults. *Costume and Accessories Not Included. 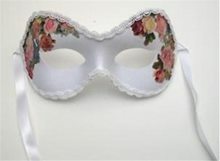 Sold Separately.Features one White Flower Pattern Eyemask with White Detail. One Size Fits Most Adults. Amazing Product! Try it.